The establishment of statutory conservation areas in Finland has been based on conservation programmes for national parks, strict nature reserves, mires, waterfowl habitats, eskers, herb-rich forests, shorelines and old-growth. When compared with other European countries the share of strictly protected forests in Finland (5.2% of forests) is the highest in Europe. This accounts for over 13% of Finland’s total forest area. The majority of protected forests are in northern Finland. Due to many protection programmes and decisions, protected forests have increased three-fold in Finland over the past 30 years. The first national parks and nature reserves in Finland were established in 1938. There are currently 37 national parks, 19 strict nature reserves and 12 wilderness reserves. In 2002, the Finnish Government adopted the Forest Biodiversity Programme for Southern Finland (METSO) with the aim to improve the conservation of habitats and structural characteristics of forests, which are vital to the survival of endangered species in private forests. New areas and networks that support forest biodiversity are established and the biodiversity of existing conservation areas is improved. The principles of new protection methods are: voluntary participation of forest owners, maintaining ownership and full compensation for economic losses. The Natura 2000 network safeguards the biotopes and habitats of species defined in the Habitats and Birds Directives of the EU 27. The EU Natura 2000 network in Finland included 1.860 protected sites, ¾ of which are terrestrial areas. The majority of the Natura 2000 areas, 97%, are nature conservation areas established under national decisions. These areas can also be part of national conservation programmes or can be protected in other ways. Nature conservation areas in Finland. Source: Metla/Finnish Statistical Yearbook of Forestry 2011. 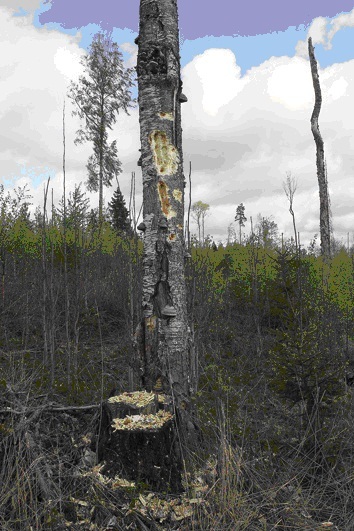 Biodiversity of Finland’s forests is also affected by the way commercial forests are managed. 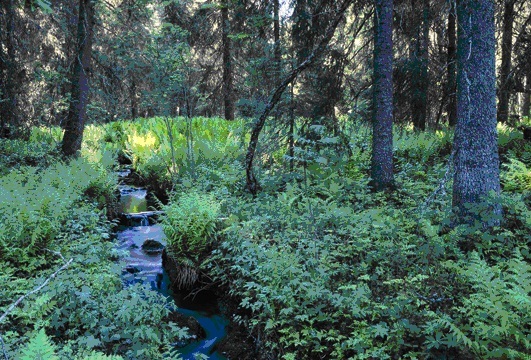 In commercial forests, biodiversity is promoted, for example, by maintaining valuable habitats, increasing the amount of deadwood, and saving large broadleaved species in cuttings.